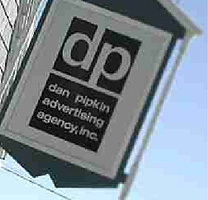 Dan Pipkin Advertising Agency has over 55 years of creating quality advertising. It remains today a privately owned company with a close-knit group of graphic design professionals and marketing experts who are dedicated to their craft. The strength in our company lies in its ability to change and grow with the technology of today. Everyday we apply these strengths to creating quality advertising for our clients.